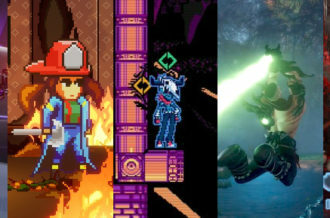 Metroidvania is a common and rather self-explanatory term these days. When someone hears this term they can expect open world 2D platforming with a heavy emphasis on exploration, a design format influenced by Metroid and certain Castlevania titles. Castlevania is a franchise that despite a few missteps has a number of excellent titles, though it seems like it took some experimenting to find out precisely what style of game it was trying to be. 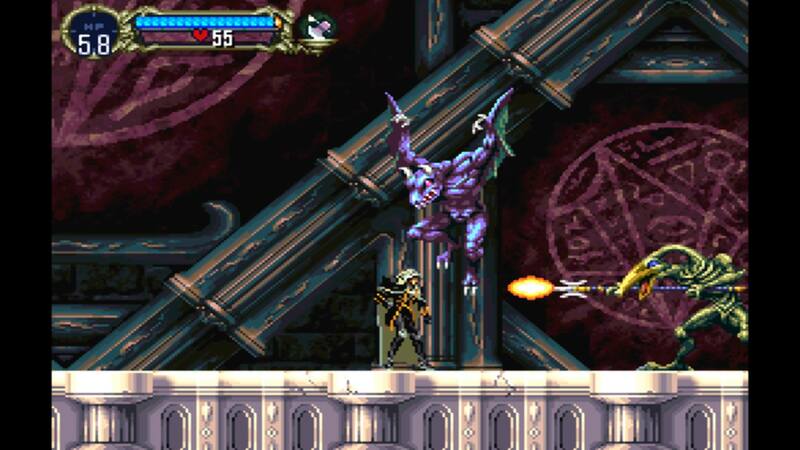 Castlevania: Symphony of the Night was revolutionary for the series and as a result influenced six other Igavania titles for handheld Nintendo systems. Castlevania: Requiem (editor’s note: Not THAT Requiem) is a collection for PlayStation 4 featuring two great Castlevania titles, Castlevania: Rondo of Blood and Castlevania: Symphony of the Night. Prior to Symphony of the Night and the subsequent Igavania titles, Castlevania games seemed to have a mild identity crisis where the developers couldn’t decide on whether or not to make the series open ended or linear since the early titles seemed to vary on those facets between each release. Castlevania made its American debut in 1987 on the Nintendo Entertainment System. Castlevania introduced us to Simon Belmont of the legendary family of vampire hunters. Elements such as sub weapons and the whip for a main weapon endured throughout many Castlevania titles were introduced in the first game, along with some incredible music and a high level of difficulty. For its time it was an excellent action game, and it was as straightforward and linear as they come. 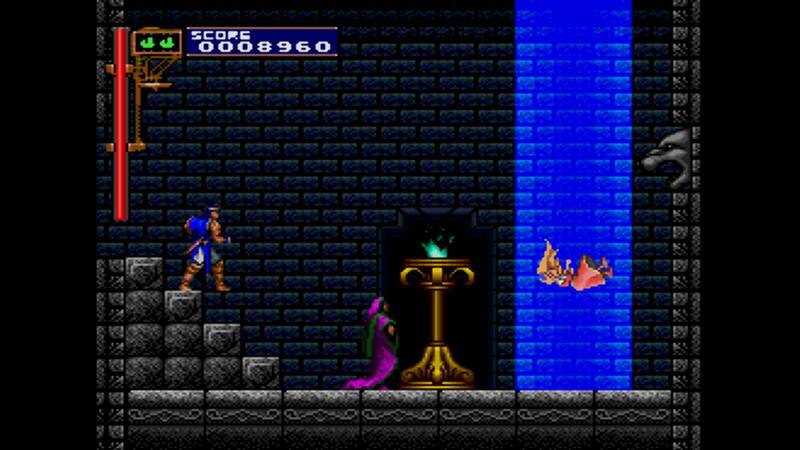 This approach was abandoned in the 1988 sequel, Castlevania II: Simon’s Quest. Simon’s Quest was an ambitious game that suffered from poor translation and lying townsfolk. This game took place in 1698, seven years after the original, and in order to break Dracula’s Curse Simon needs to collect his body parts to resurrect the Count and defeat him again to destroy his curse. Instead of beginning in Dracula’s castle, Simon begins in a village and can exit either screen right or screen left (right is the wiser choice) and venture out into the world. 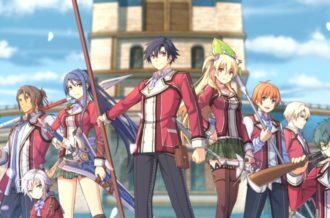 Hearts served as money and this title introduced RPG elements such as open-world exploration and purchasing new weapons and items. In many ways the difficulty of Simon’s Quest was toned down from its predecessor. Platforming was less daunting, save for a few tiny stones over some water but even if the job was missed Simon would revive right where he died. Simon could gain experience levels to withstand more damage and could even use Dracula’s rib as a shield to deflect fireballs. The difficulty stemmed from not knowing what in the world you are supposed to do in this game. Some townsfolk lie, and some clues are translated so poorly they don’t make any sense. “Hit Deborah Cliff with your head to make” somehow translates to select the read crystal from your inventory and crouch for five seconds against a mountain and a tornado will come take you away. Compared to the original, Simon’s Quest was a huge departure from the original in terms of gameplay. The world was wide open and it could be equally fun and frustrating to explore and try to figure out where exactly to travel and what needs to be done. For these reasons this is a game where people have mixed opinions of it. Personally it is one of my favorite NES titles but I can understand how many consider it a black mark in the series for being too open and too vague about how to progress. Castlevania III: Dracula’s Curse is a prequel to the original Castlevania, taking place a couple centuries earlier in 1476 where player’s begin controlling Simon’s ancestor Trevor Belmont. Presumably based on the reaction to Simon’s Quest, this title tried to find a balance between exploration and linear progression. The level structure and gameplay is back to how it was in the original but after some levels the player will have a choice between which path they take on their route to Dracula’s castle or which part of the castle they want to explore, resulting in a few different possible level progressions. The difficulty is spiked up again but this title introduces the option to play as multiple characters, the wall climbing pirate Grant Dynasty, the spell throwing Sypha Belnades or the son of Dracula Alucard who can turn into a bat. This title often appears in the list of best NES games and seems to indicate this was a proper balancing between branching pathways and linearity for Castlevania. While not as diverse in structure, the 16-bit era saw Castlevania titles continue to experiment with it’s style. Super Castlevania IV is one of those very early SNES that still holds up well today, but it is more or less a reboot of the first Castlevania. Simon Belmont returns, and players will go through the same linear stage progression each time they play it, granted it is with vastly improved environment visuals, boss enemies and musical score. 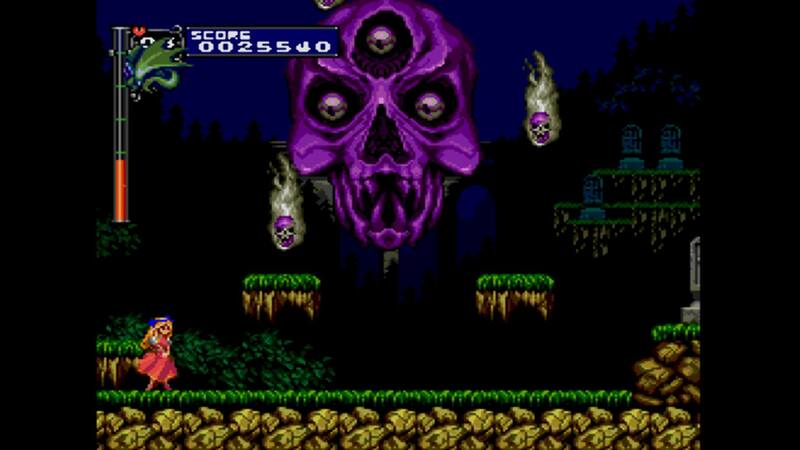 It was a treat to hear the improved SNES sound processor take on familiar tunes like Bloody Tears, Vampire Killer and Beginning from the NES trilogy. Castlevania finally got a shot at being on the Sega Genesis in 1994 with Castlevania: Bloodlines. Bloodlines takes place in 1917 and has two playable characters. John Morris is a whip cracking descendant of the Belmont clan and Eric Lecarde, a spear wielder who has a bone to pick with Dracula since his girlfriend was turned into a vampire during a ritual that would ultimately lead to Dracula’s revival and also have the minor side effect of starting World War I back in 1914. 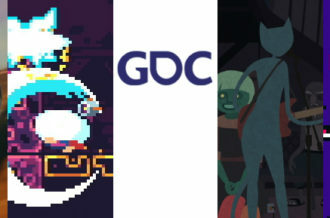 The two characters have slightly different play mechanics but they travel the same linear path of levels. They do, however, take alternate routes in some areas, so even though there is some variance between them, it’s more like they both have their own linear path. 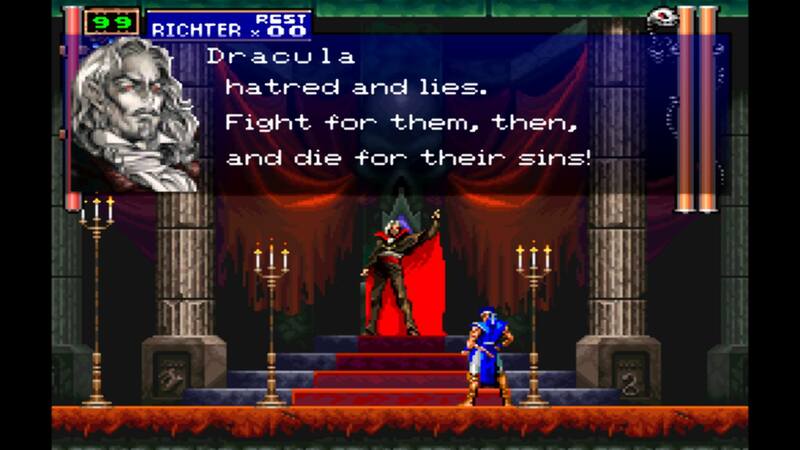 Castlevania: Dracula X came out in 1995 for the SNES and really didn’t impress too many people. It wasn’t a bad game, but it was the weakest entry on the 16-bit consoles. It had a couple branching levels and there was a weird key special weapon that was useless unless you could survive making it to the locked door with it to find Maria Renard. The biggest problem with it was it felt like it wanted to be greater than it was and the reason for that is it is a gutted version of the 1993 Japan only PC-Engine CD game Castlevania: Rondo of Blood. American gamers didn’t get to (legitimately) play Rondo of Blood until 2007 when Castlevania: The Dracula X Chronicles was released for PlayStation Portable and that was a remade version with 3D graphics and the player had to unlock the original 1993 version through gameplay. The SNES probably couldn’t handle Rondo of Blood in 1993, which is a shame because this title is a gem within the franchise, though playing it for the first time over a decade after the fact may dim its luster. Rondo of Blood plays like the next evolutionary step of Dracula’s Curse. There’s an eight stage level progression but there are more than eight levels. Instead of having a branching path after some levels, players can take risks and explore the stage they are in and can end up finding a different path. The key subweapon is more useful, whereas in Dracula X it leads to an interesting story development in Rondo of Blood it makes Maria Renard a playable character. Compared to Richter Belmont, she can double jump and collect various animals as subweapons but the trade off is she seems to take more damage when she is hit. Even with the more delicate health bar, Maria is more enjoyable to play and actually makes boss battles so much easier. From a design perspective, Rondo of Blood feels like a bridge between the classic Castlevania games and Symphony of the Night. 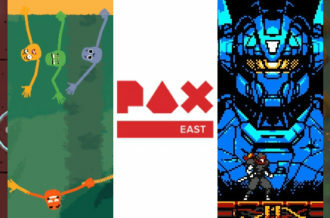 Several pieces of music from the NES titles were reworked for Rondo of Blood and the village graphics in the first level are taken straight out of Simon’s Quest, which may just be a simple homage but also could be a subtle hint that this is the Castlevania title with the greatest emphasis on exploration since that title. Some of the environments look like a throwback to the NES titles, but enemies and character designs will be seen again in Symphony of the Night. If Rondo of Blood is the next evolutionary step in gameplay from Dracula’s Curse, Symphony of the Night is multiple steps in evolution beyond Simon’s Quest. Symphony of the Night takes place in 1796, four years after Rondo of Blood where players take control of Alucard, though he looks more like Lestat circa 1994 after discovering volumizer as opposed to his Bela Lugosi inspired look in Dracula’s Curse. This is without the question the biggest castle Dracula has ever acquired to date, and if it wasn’t already impressive enough, if the player is able to defeat Shaft with the proper accessories the inverted castle will appear, doubling the size of the game map and introducing many new challenges. Alucard can fight with a variety of weapons, cast spells with Street Fighter style, control inputs and shapeshift into a bat, wolf and cloud of mist. There are some secret passageways and other mysteries to uncover, but exploring this labyrinthine castle never seems as unclear as some of the objectives were in Simon’s Quest. Completing the game once does allow players to play again as Richter if they enter that as their name and in certain versions (not the original PlayStation version) the same can be done with Maria. Symphony of the Night is simply a masterpiece. It is arguably the best title Castlevania has to offer and one of the best 2D games ever made. Castlevania titles have always had commonalities between them but with the games prior to this they seemed like they were trying to find their stride with formula changes with each entry. As much as I love the earlier Castlevania titles, this is where everything came together. Because of this title I was disappointed that the subsequent home console Castlevania games tried to conform to the 3D approach. Even though the 3D Castlevanias were good (with the exception of Castlevania 64 and Lords of Shadow 2) none of them were able to match the quality of Symphony of the Night, but thankfully we got six high quality Castlevania games in this style for the handheld Nintendo systems and we still have Bloodstained: Ritual of the Night to look forward to. Castlevania: Requiem contains two great Castlevania titles, so the question is should you purchase it and the answer is maybe. The two included games are worth the asking price, but there isn’t any bonus content to speak of, so if you’re looking for art galleries, design concepts, interviews, extra challenge modes or anything like that there won’t be anything like that here. This is simply a bare bones, no frills package of the two games, save for the ability to choose from different screen borders and adjust things like scanlines and pixel smoothing. It should also be noted this is the version of Symphony of the Night from the PSP remake, so the voice acting and script is the improved version, and by improved I mean changed so it’s just bad as opposed to being so bad it’s actually kinda of amusing. 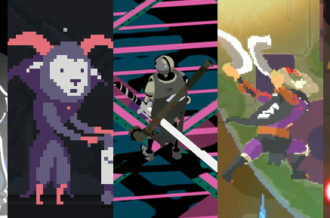 If you own these games on other platforms, like Rondo of Blood on Wii virtual console or Symphony of the Night on an actual PlayStation or downloaded as a PSOne Classic on PlayStation 3, this may not be worthwhile unless you love collecting PlayStation trophies. 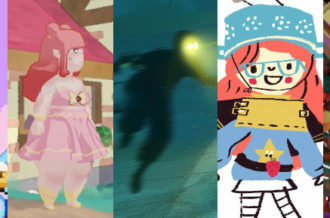 If you no longer have access to these titles or just want the convenience of playing on a PlayStation 4, then going without this title would make for an extremely miserable pile of secrets.